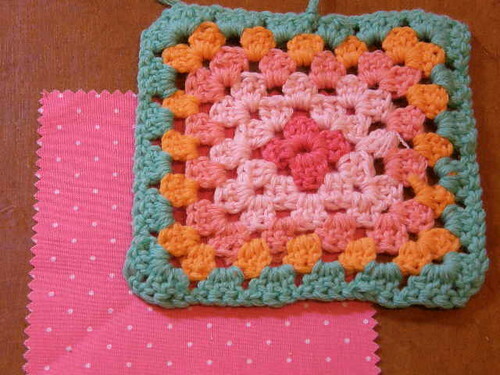 Here’s how to make the first round in your granny square! Yippee! The first ’round’ is the four little ‘clusters’ of stitches at the middle of your granny square. We’re also showing you how to ‘treble’ stitch. It’s a bit of a long-winded stitch, but just follow the videos and stitch along and you will get there in the end! Treble and chain stitch are the stitches you need to make a basic granny. And if you’re up to this lesson, then you know how to chain stitch by now! You can get this treble stitch licked too! You can. Practice and it’ll all make sense eventually. Truly! You start with one loop on your hook. Hook the yarn again whilst in the ring. Pull the yarn back out of the ring again. Pull top loop under the remaining bottom two loops. You now have one loop on the hook. And one completed treble stitch! *Treble Stitch is the same as US dc for those of you that need to know that! Ignore if you are just following our videos as is, though. **The Foundation Ring is the chain of 8 stitches, that you slip stitched together to form a circle, in the previous lesson. 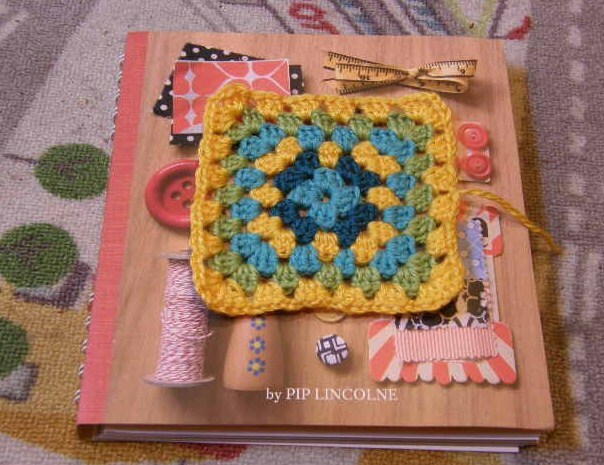 It’s where all good granny squares begin! 2 treble, 3 chain, 3 treble, 3 chain, 3 treble, 3 chain, 3 treble, 3 chain and the slip stitch into the third chain up from the ‘ring’ on your original chain 3. If that’s mumbo-jumbo to you, then just ignore it and follow the videos, in order, step by step. You can learn from the videos alone. I just thought extra info might be good to confirm what you’ve learned further down the track. So feel free to ignore and just go by the videos. If you make a mistake, just pull it undone and re-trace your steps, so to speak! 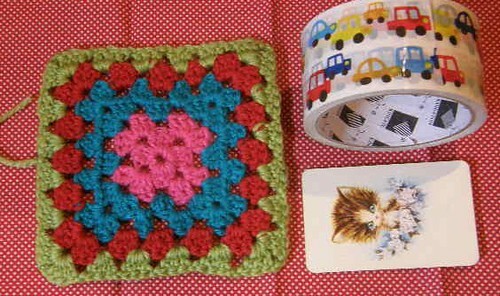 Here’s an alternative photographic how-to-crochet-a-granny-square courtesy of Sarah London, too! And an illustrated guide here. If you follow these videos, in order, then you too can make the very first round of your granny square! And once you’ve got this mastered the rest is EASY! So here we go! Good Luck! Let Round One begin! Do drop me a comment if you are learning with these videos! It takes AGES to make and edit and upload and post these – I would love to know if they are useful to you! Lesson 6 : How To Make The Second Round!! Lesson 5 : How To Make The First Round! Lesson 6 : How To Make The Second Round! Lesson 8 : How To Make the Third Round! Stephanie and Joe Morelli’s romantic relationship turns into a lot more complicated than while in the previous. They start caring about 1 yet another and it truly is obvious that Joe really wants to guarantee that Stephanie is safe and sound….